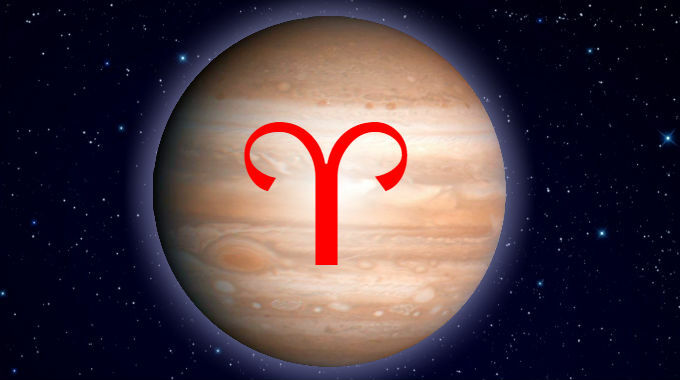 Jupiter in Aries is in a cardinal fire sign and takes on the qualities of its ruler Mars: fiery, bold and impulsive. This is someone for whom opportunity and abundance lies in coming first, being on top, taking risks, being the hero. It rewards those who pioneer, who stand alone, with courage and bravery. There can also be an exaggerated sense of confidence in one’s self and in one’s risky bets which can sometimes cause problems. There can be a “might makes right” philosophy or a “shoot first ask questions later”/”ask forgiveness not permission” approach. You can be the sage, the professor, the fount of wisdom when it comes to making a plan of attack. Jupiter in Aries can be good for entrepreneurs, coaches, activists, generals, etc. This is especially true if you were born with Aries, Sagittarius or Pisces rising. However, this can also describe others in your life who are relevant to the houses where Jupiter, Sagittarius and Pisces are placed. Whether you experience the better or worse significations of this position depends on whether you were born during the day or at night, and the kind of aspects it makes with the other planets.